Answer: Yes, lifeguards are first responders, because they are already at the scene of an accident/incident. Lifeguards are not always expected to see all accidents/incidents that happen at an aquatic facility, but they are expected to respond accordingly and responsibly when an accident/incident is brought to their attention. Lifeguards are NOT babysitters! Lifeguards save lives. That is what their training is for, to assist & provide “first responder” help. Yes it would be nice for lifeguards at aquatic facilities to physically see all incidents that happen at a pool or recreation facility, but let’s be honest, that just doesn’t happen. Lifeguards are expected to be trained in basic lifesaving skills as well as CPR and first aid. This training is taught so that young men and woman that enter into the “water safety” business are prepared to respond and assist patrons and swimmers in a time of need at an aquatic facility. 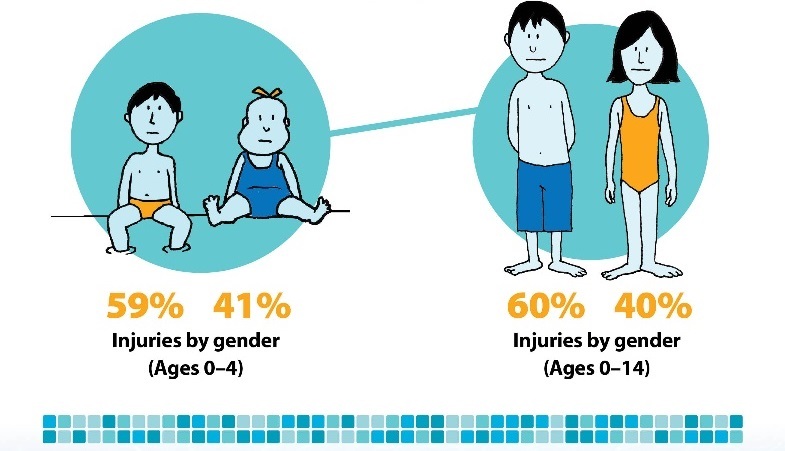 A non-guarded swimming pool is 14 times more likely than a motor vehicle to be involved in the death of a child age 4 and under. Lifeguards are also present to help enforce rules and safety at an aquatic facility. Without lifeguards present at an aquatic facility there is disorderliness, lack of organization, disarrangement and no structure. Young swimmers (typically, ones that visit swimming facilities the most) are free to use their own judgement to determine what is safe and not safe at a pool facility. This usually can lead to a lot of unforeseen issues and risks. 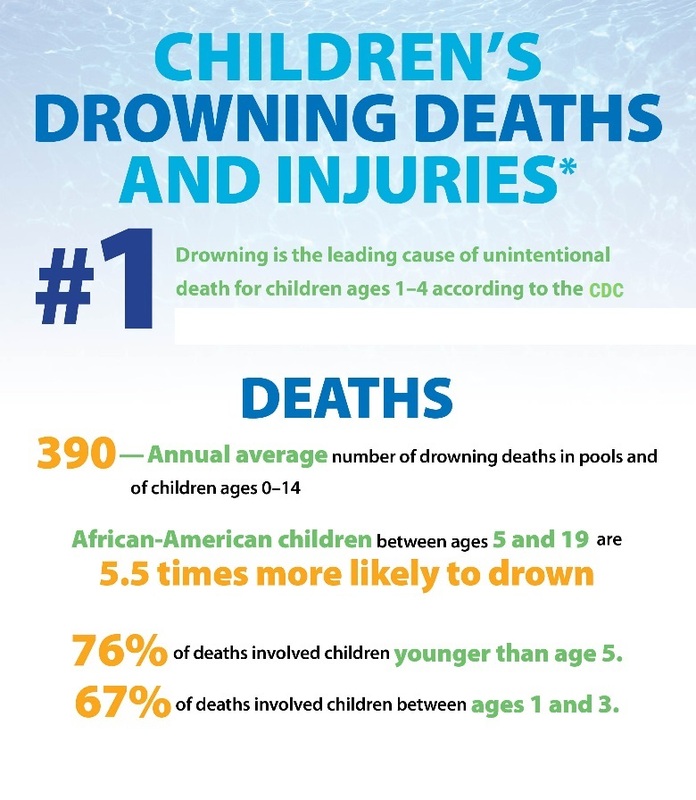 Here are some startling facts on drowning! 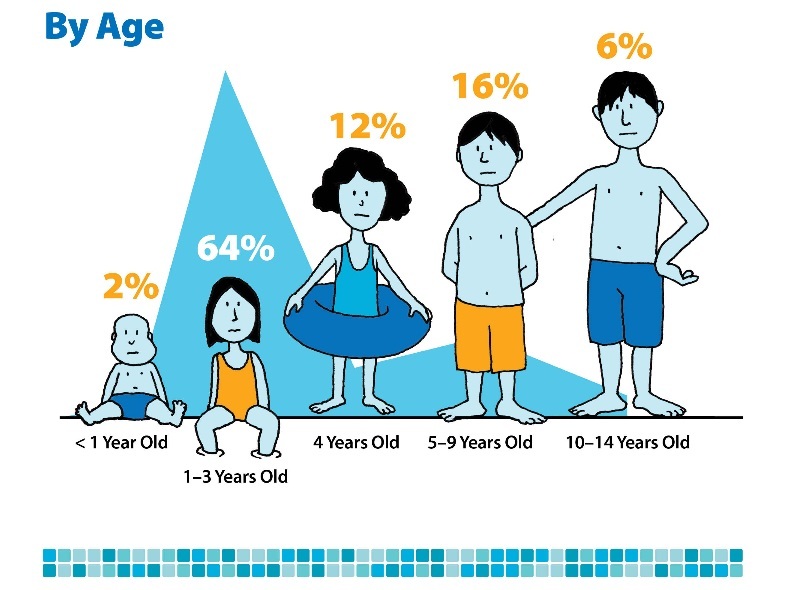 19 percent of drowning deaths involving children occur in public pools with certified lifeguards present. Drowning can happen quickly and quietly anywhere there is water and even in the presence of lifeguards. Many adults and children report that they can’t swim. Research has shown that participation in formal swimming lessons can reduce the risk of drowning among children aged 1 to 4 years. U.S. Coast Guard life jackets reduce drowning among non- swimmers significantly. Drowning happens with 88% of victims not wearing life jackets. For persons with seizure disorders, drowning is the most common cause of unintentional injury death. Among adolescents and adults, alcohol use is involved in up to 70% of deaths associated with water recreation. Parents stay close when children in water. Never leave a child unattended in water. The importance of lifeguards providing patron surveillance, especially monitoring the behavior of swimmers, can be demonstrated with a brief description of how persons drown. Many people assume that drowning persons are easy to identify because they will exhibit obvious signs of distress in the water, such as yelling or waving their arms. However, this kind of behavior is not common. Instead, people tend to drown in more quiet, less attention-getting ways. Drowning persons usually struggle to keep their mouth above the surface of the water in order to breathe. Struggling to stay afloat and possibly suffocating, they are rarely able to call out or wave their arms. Observational studies of persons at flat water (non-surf) beaches have revealed that non-swimming adults who find themselves in water over their heads are generally able to struggle on the surface of the water for about 60 seconds, while infants and very small children can submerge in as little as 20 seconds. However, facility owners and managers at aquatic facilities sometimes make the mistake of assigning lifeguards unrelated duties to perform while also expecting them to conduct effective patron surveillance. Because drowning can occur quickly and quietly, it is not surprising that lifeguards, distracted from keeping an eye on the water by other assigned duties, have failed to spot drowning persons in time to rescue them. Indeed, unobserved drownings have occurred even while lifeguards were stationed 20 feet from the incident. It is clear, therefore, that swimming facilities must be staffed adequately to ensure effective and continuous patron surveillance, and that lifeguards should be given no other task that would distract them from this work. Don’t become a statistic. Safety starts at home. Tips to help you stay safe in water at your Aquatic Facility! Supervise When in or Around Water. 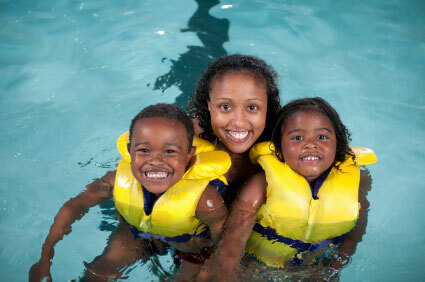 Designate a responsible adult to watch children while swimming or playing in or around water. Supervision of preschool children should provide “touch supervision”, be close enough to reach the child at all times and provide a coast guard approved life jacket. Because drowning occurs quickly and quietly, adults should not be involved in any other distracting activity (such as reading, playing games, socializing, drinking alcohol, talking/texting on the phone and sun bathing) while supervising children, even if lifeguards are present. Seizure Disorder Safety. If you or a family member has a seizure disorder, provide one-on-one supervision around water. Consider wearing coast guard approved life jackets when around water. Learn to Swim. 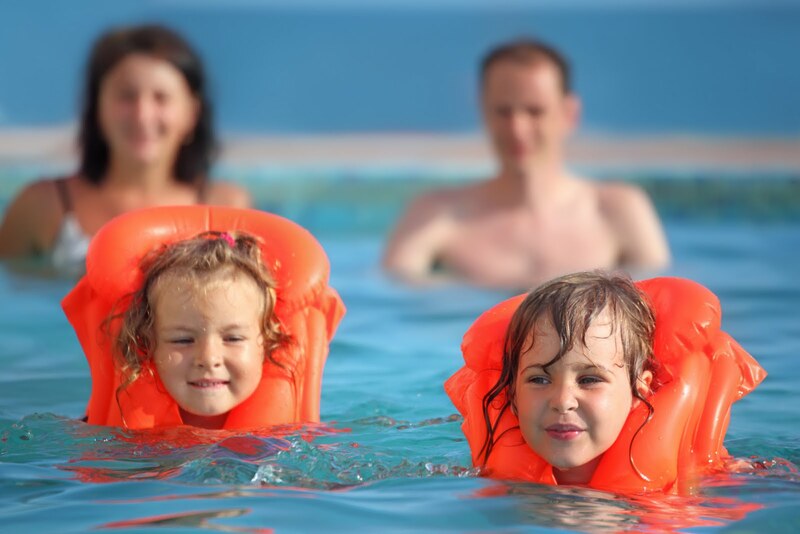 Formal swimming lessons can protect children from drowning. However, even when children have had formal swimming lessons, constant, careful supervision when children are in the water. Parents should be their child’s “lifeguard”. Nobody’s going to watch your child as well as you are and when you send your child to the pool with friends, babysitters, aunts, uncles, they’re not watching their child like you would. Children of all ages and experience levels should be with a parent if possible. Parents know their own children’s limits and how long they are capable of being in the water and underwater. ONLY YOU CAN GUARANTEE YOUR CHILD’S SAFETY!